Audio podcasts of Pastor David’s weekly sermon may be found at sermons.net. Christ is alive! We are freed! In such a complex world, how do we formulate beliefs, maintain our beliefs and live our beliefs in Jesus Christ? In such a difficult time in the life our United Methodist denomination, what hope for resurrection exists in the church of Jesus Christ? As we begin to conclude our Lenten journey of liberation, there may be moments when we feel as if we have more chains, more baggage, and more weariness than we could have anticipated in this time. One thing I’ve learned through our study of the Exodus is that the Promised Land is to be found under our feet and in our hearts at all times. The land is not so much a destination as it is a feeling of freedom and strength we possess within our souls and share by our hands and hope for one another. In these last weeks of Lent and as we engage Holy Week, I invite you once again to imagine what you need to be freed from in your life. It could be a habit that has become destructive to you or a relationship that is troubled or broken or a myriad of other things: shame, bitterness, unmet expectations, or more. Trust that when you grow in awareness of these things and offer them to God’s counsel, there is hope made available to you that Christ Jesus, as your helper, will guide you to be free. The church is here for you, too. As Christians we are companions of one another into the freedom land of our need and life anew. As always, the church stands ready to accept, to pray and to be your strong support. We are blessed to be community – in ministries of love, nurture and healing for one another. Even as the world spins with so many chaotic turns, and the United Methodist Church awaits decision making about its future, there is no time like the present to live into the promise of Christ’s resurrection. The world and the church need believers to believe out loud: “my chains are off, the tomb is empty, Christ is alive and I am freed!” Celebrate the promised land of new life is in sight! Our confirmation program is in its 11th week. The nine students have explored theology, discipleship, the creeds and United Methodist history. Later today we will look at United Methodist government – ooo, ahh! The confirmands have also studied Methodism’s founder John Wesley. One of John’s best and shorter sermons is entitled “The Catholic Spirit” with a small “c” meaning “universal.” Wesley makes it clear since its founding, the heart of the matter has been our believing together in the universal love of God in Jesus Christ that makes us one. The text from Luke’s gospel sounds a lot like Jesus’ Sermon on the Mount from Matthew’s gospel. But in Luke’s version Jesus is the great doctor without borders who enters into the middle of the people, on a level ground and speaks to them face to face as most of us would want our physicians to do. “What’s the diagnosis, Doc, tell me the good and the bad in a way I can understand.” and Jesus does just that. Jesus is aware that, spiritually speaking, the human heart is in danger if there are obstacles within it that don’t allow it to participate in God’s work. It is coagulation of a spiritual kind. Woe to us when arrogance obstructs the artery. Woe to us when selfishness clogs the veins. Woe to us when missed or ignored opportunities for generosity cause valves made to open to close tightly. Woe to those who know what God requires and fail to do it. In Jesus, God has offered a prescription for better spiritual heart-health. While the “woes” are indeed tough and uncompromising, it’s “love of God” and “love of neighbor” which is a two part prescriptive plan Jesus provides but it is a plan that is ours to employ. It is the action of God’s grace to cause awareness in us to build – such that our craving for God’s love becomes our daily diet. To structure our hearts upon the example of Jesus becomes the way we want to live. This is by God’s grace, too. While God’s love works within us as the body of Christ to provide unity and strength so God’s love moves us outwardly and energetically to do the work of Christ. By this love, as individuals and as church together, we are encouraged to become co-partners of God’s divine blessing WITH the hungry and the filled, with the happy and the sad, with the impoverished and the wealthy – in one unified whole – for a more just and generous way of life. Today, we confess our collective heart – as congregation and in particular as a denomination – isn’t always in proper condition. Already, there is seismic denominational change anticipated in St. Louis with the special session of The General Conference of The United Methodist Church less than one week away. The question at the heart of the conference: how will the United Methodist Church change? Will it become as inclusive as the kingdom of God we seek to embody or will it continue in its discrimination toward those who are lgbtq, allies and reconciling congregations such as ours? As pastor of this fully welcoming and inclusive reconciling congregation, the third one that I have served through six general conferences, I can’t help but wonder in the church’s quest for unity how it will be maintained at the cost of more harm inflicted on the hearts of lgbtq persons not just in our local Northern Illinois area but around the world, too? I seek your wisdom and prayers as I listen to the Spirit’s leading and the beating of our church’s heart. Thank you to the members and leaders of our church who have joined together in the January discussions we had about the special session. The discussions have been informative, passionate, honest and not without confusion as to the future of our denomination…what our General Conference will or won’t do will affect the future of millions of Americans and people around the world who call the UMC our spiritual home. What does this global gathering mean for us as a congregation here in our portion of suburban Chicago? It is yet to be fully determined. As with our heart health, awareness is key and knowledge is power. Whatever may transpire in St. Louis I am assured that we as church will seek to engage the decisions and denomination with our vision and our mission of what we believe God has called us to be as a community of faith…to live its blessings without shame and without fear, to move forward with greater trust in Jesus Christ. The condition of the church’s heart has and always will be measured in love; its health will be defined by how well it acts in love. In just a few months, we will confirm our confirmation students. They are inquisitive, energetic, intelligent, gifted 7th and 8th graders. How are their hearts? What are their hopes? Pray that we might help them strengthen their commitment to the church of Jesus Christ. Pray with them in faithfulness to your own heart and love for the church. Pray for them as you pray for the United Methodist Church and its future. I resolved to schedule some dental appointments in early January. It didn’t happen. I resolved to plan a nice vacation for the week after Christmas. It didn’t happen. I’m not ending 2018 as I had planned. I wonder if I will begin January more resolute in my resolution-making? God being my helper, I will try! I wonder about the resolutions we could make that have a broader impact on the world than the ones focusing on temperament or waistline. The United Methodist Church publishes its Book of Resolutions (BOR) every four years immediately after the quadrennial event known as the General Conference (a 10 day global meeting of delegates both laity and clergy from churches around the world and highest decision-making body of our denomination). The BOR offers United Methodists information on hundreds of position statements on hundreds of social issues such as accessibility in churches, campaign finance reform, ethical investing, even East Turkistan Self-Determination and Independence and a whole lot of others. Do these resolutions lead to practices of faith? Can they? Often times the practice of faith by one United Methodist member or congregation can lead to the creation of a resolution to be offered, discussed, discerned and voted upon by the entire denomination. “We resolve…” and then action steps are then approved and listed for the whole church to follow in its best efforts. By the resolution and with the guidance of the Holy Spirit, we then speak of our statement of faith and live it out and into the world! With so many major issues of international, national and local impact before us as a country, our congregation’s heart has been open wide to embrace homelessness with The Night Ministry, children in need with ChildServ, sustainable & local agriculture with the Winters Farmers Market (Jan.6), hunger with Heifer International and New Hope Community Food Pantry, refugees with Exodus World Service and several others. Which area of need will you resolve to involve yourself in – as a practice of your faith and as a member/friend of FUMC – in the New Year? What new area of ministry can we discover in 2019 that needs our congregation’s voice and presence? Let’s resolve to commit ourselves in the generosity of our time, talent and financial resources in 2019 in much of the same way we did in 2018. 2018 was a great year of interest, involvement and participation in ministries of mission and outreach. Let’s resolve to be more invitational, too, with our friends and neighbors to our services of worship on Sunday mornings and events throughout the New Year. 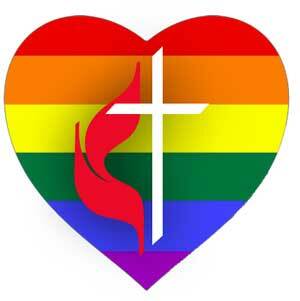 Many good things are happening at FUMC. Many good people are participating in a variety of ways. Let’s resolve to keep it up in 2019 – with God has our able helper – we can make it happen! Blessings for the New Year 2019!